Victory © 1987 Premier Technology. 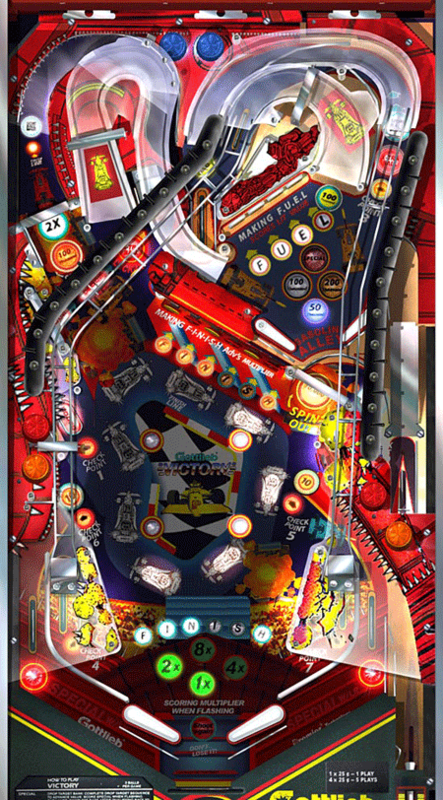 Victory was the first game to use a fully screened photo realistic 'Vitrigraph' mylar overlay for it's playfield rather than the industry standard silkscreen on the wood itself. 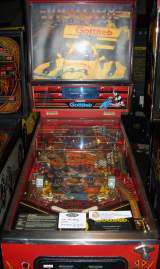 The 'Vitrigraph' mylar had significant adhesion problems; a later limited run of replacement playfields were made for operator replacement in the field. These were done as a standard silkscreen on the wood, with an overlay of clear mylar.